Dr. Moshe Laub is a long time member of the West Hartford Chamber of Commerce and serves as an Ambassador of the chamber. Holistic Parenting: For moms with an interest in natural health & mindful parenting, check out the Hartford County Holistic Moms Network chapter. Looking to improve your vision? Look no further! Harvey & Lewis have been around since 1890, and with 9 locations, including the one in our building's ground floor, the've preserved their exceptional uncomromising quality care Optometry and legendary customer service. Orthopedic consultation with the best spinal surgeon in town? Call Dr. David M. Kruger, M.D. he is gentle, caring and conservative who prefers preventative and non surgical, conservative methods first. Marriage and Family Therapist? Jennifer Sanford is one bright star. From individual to couples, to Family and group therapy, she will help you get yourself back. Injured in an auto accident? A Slip and Fall Accident? Workman Compensation Accident? Attorney Frank McCoy is the one to provide experience, knowledge, aggressive litigation of your case. Foot Problems? Hallux Valgus? Diabetic Foot issues? Pes Planus? Morton's Neuroma? Hammer Toes? Calcaneal Spur? Dr. Lederman Father and Son are our town's podiatrists and they are in our building's ground floor. Midwife ? Joni Stone CPM, of Circle of Life Midwifery Services is our favorite choice. care and natural family planning. 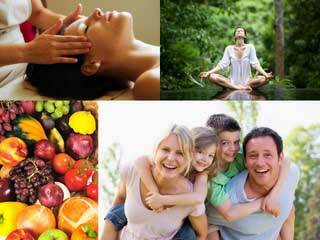 Natural Nutmeg Magazine - Is a monthly readers guide to healthier sustainable life. Dr. Laub is on the board of this magazine and a contributing author. Bikram Yoga- In The Valley Simsbury, Directed by Richard Mercer, will be soon open to the public; bringing wellness to our bodies, minds and spirits. Chopra Center - Meditation, Ayurveda and Yoga are the building blocks of Dr. Deepak Chopra's method. A physician and an enlightened individual , who teaches various courses, such as: Perfect Health, Healing the Heart, Seduction of Spirit, Journey into Healing, SynchroDestiny and Emotional Freedom to achieve true healthy life, from the inside out. Massage Therapy & Body Work- Genny Hofrichter, with a wealth of knowledge, over 30 years of experience, warm hands and a warm heart, is the one to choose. Macrobiotics? Kushi Institute Macrobiotics approach to health, healing and well being through workshops in Becket ,MA. Kripalu Center for Yoga & Health in Stockbridge MA, is an oasis for self improvement. From Yoga, to Self Improvement Courses such as : "the Work" by Byron Katie, Ayurveda, Cooking, Massage, Energy Work, Detox & Cleansing, Integrative Medicine by Deepak Chopra and so many more. This is the place I choose to go and recommend my patients to go for intensive self improvement courses. Mesothelioma & Chiropractic "Chiropractic care has been linked to alleviating the pain associated with chemotherapy and constant surgeries that cancer patients undergo. The Mesothelioma Center offers the most comprehensive and current information on asbestos exposure and a complete list of malignant mesothelioma symptoms." Mesothelioma Research: Support the research of Mesothelioma at http://www.mesothelioma.com and the treatments associated with chiropractic medicine.